The Republican-led Congress is back in session determined to earn their abysmal approval rating. The most recent Gallup Poll has it at 16 percent. Having failed to repeal and replace the Affordable Care Act with the “skinny bill,” congressional Republicans and their wealthy puppet masters—led by the narcissist in chief in the White House—are shifting their focus to tax reform. Mr. Trump could not wait until Hurricane Harvey had finished its devastation to hold a rally in Springfield, Missouri touting the benefits of more tax cuts for business as the means to alleviate the economic malaise enveloping the middle class. I visited Springfield last year where the poverty rate is 26 percent and people there are not happy. Republicans are going for the trifecta with supply-side, trickle-down economics which former President George H. W. Bush perfectly labeled “voodoo economics” before Ronald Reagan successfully enacted massive tax cuts for the wealthy. He would later raise taxes 11 times during his term but the effects of those cuts are still being felt as economic inequality increases unabated. Ignoring his father’s pronouncement, George the son doubled down on tax cuts for the “job creators” during his initial days in the White House eventually leaving an economic mess for President Barack Obama to clean up. Sunday’s New York Times editorial summed up Trump’s tax reform policy quite succinctly. It just defies history. Decades after the Reagan and Bush tax cuts, American workers are no better off than they were before the tax cuts and are in many ways worse off because the $20 trillion dollars in debt that threatens to put a chokehold on the economy. Interest payments on public debt for the current fiscal year ending September 30 is $266 billion dollars—the federal government’s fifth largest budget item after Social Security benefits ($948 billion), military spending ($773.5 billion), Medicare ($592 billion), and Medicaid ($385 billion). Another round of tax cuts for the wealthy will only exacerbate a bad situation. The Urban Institute and Brookings Institution Tax Policy Center analyzed what they could make of Trump’s tax reform plans—few details have been released—and concluded that while everyone would receive a tax cut, the top one percent of households would see an average increase in their after-tax income of 17.8 percent while middle-income earners would accrue an average gain of 3.3 percent in their after-tax income. If potential revenue raisers were included, the top one percent would realize an 11.5 increase in after-tax income compared to 1.3 percent for middle-income earners. More trickle-down voodoo nonsense. Lowering taxes for businesses and the wealthy allegedly spurs economic growth which would lift the fortunes of everyone. Not so says Sarah Anderson, director of the of the Global Economy Project at the Institute for Policy Studies. She did a study of 92 publicly traded American companies that reported profits every year from 2008 to 2015 and paid less than 20 percent in taxes (the current rate is 35 percent) and found those 92 profitable, low-tax paying companies had a median growth rate of negative one percent compared to a positive growth rate of six percent for corporations generally, debunking the myth that lower taxes lead to higher economic growth. For decades, labor has been devalued at the expense of soaring corporate profits and escalating CEO pay. Since the recovery began in 2009, the average CEO of the 350 largest companies in the United States has seen his compensation increase by 54.3 percent, pocketing an average of $16.3 million in 2016, while the average wage earner at those same companies have seen no increase at all. Take home pay for the top 25 Standard and Poor’s CEOs totaled about $1.65 billion last year. British Prime Minister Theresa May has pledged to crackdown on excessive CEO pay in Great Britain but the likelihood of that happening in the United States is minimal. President Trump and his Republican colleagues in Congress—those he is not threatening with a primary—are pushing for another round of supply-side, trickle-down tax cuts for himself and his wealthy friends. The American people be damned. Corporations are sitting on at least $2.6 trillion dollars in offshore accounts waiting for taxes to be lowered so they can bring that money back to the states. Will they use some of that money to enhance wages? Certainly, that would stimulate the economy. Or, will they continue to buy their own stock to insure higher profits and greater compensation for CEOs and shareholders? Fool me once, shame on you. Fool me twice, shame on me. Three times??? Come on. 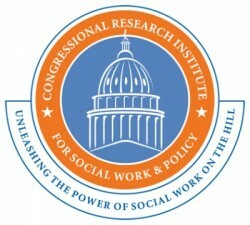 Fool Me Once, Fool Me Twice was originally published @ Charles Lewis – Congressional Research Institute for Social Work and Policy and has been syndicated with permission.